Today's recipe is one of the many examples of how being proactive can help save a lot of time in the kitchen. Iratxe tells us that when she prepares any dish in the oven, she takes the opportunity to roast a few peppers and store them to be used when she doesn’t have time to cook; for example, as an accompaniment to grilled meat or fish, or in sandwiches as tasty as this one with White Tuna. Put a tray sprinkled with olive oil and a little salt in the oven. Roast in a preheated oven at 180-200ºC for approximately 30 minutes. Allow to cool. When cooled, peel and remove the seeds from the peppers. 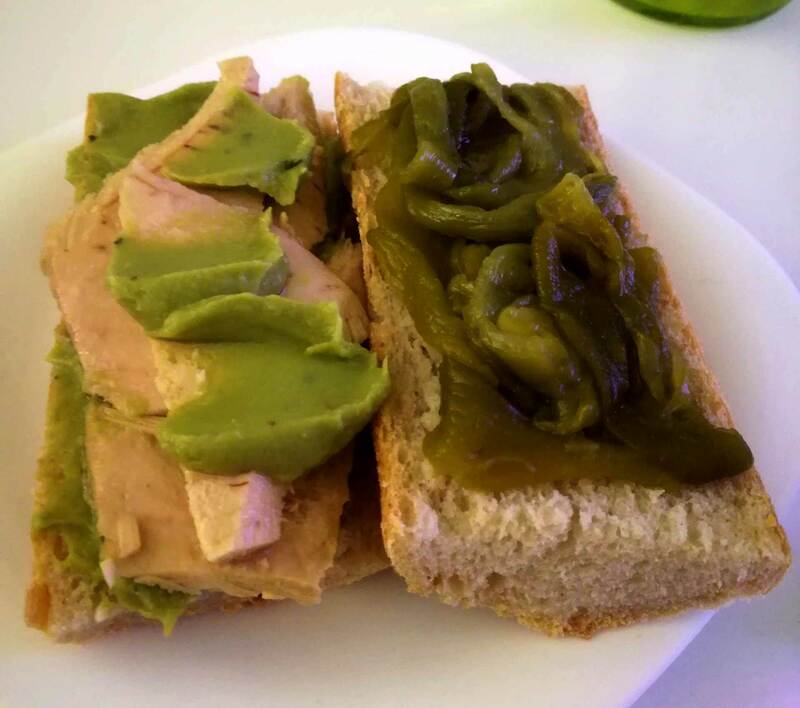 Spread one half of the sandwich with guacamole (in this case, Iratxe uses guacamole sold ready made in tubs). Put a piece of White Tuna on the guacamole. Add a little more guacamole. Add a few pieces of roasted pepper. Quick and tasty. Thanks, Iratxe!